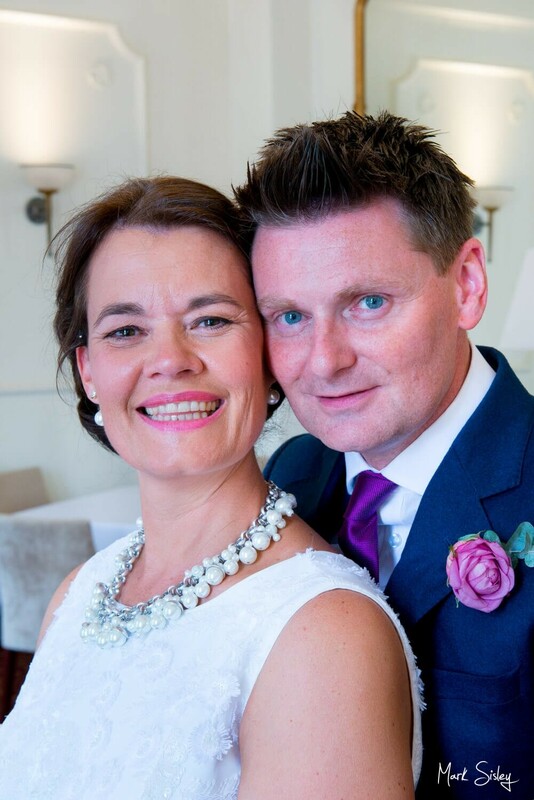 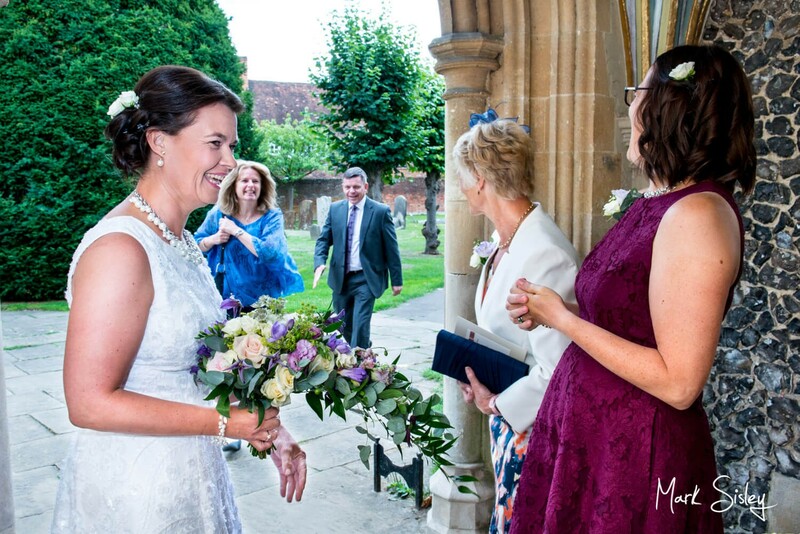 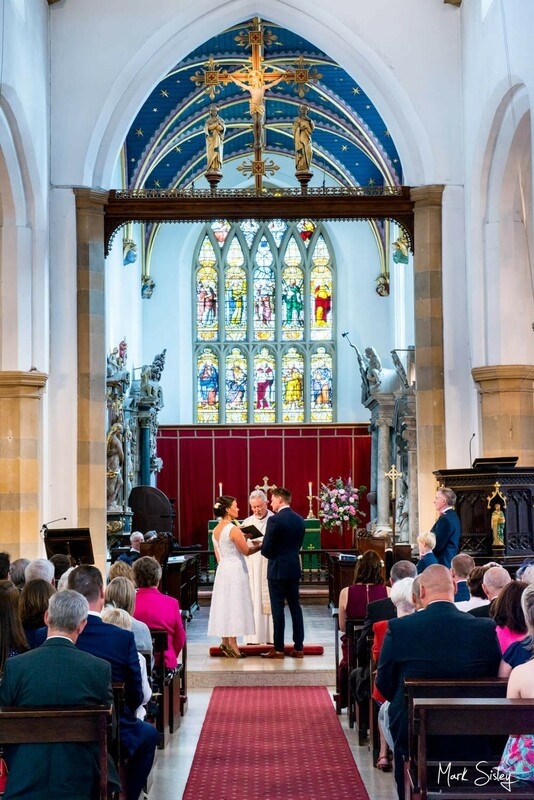 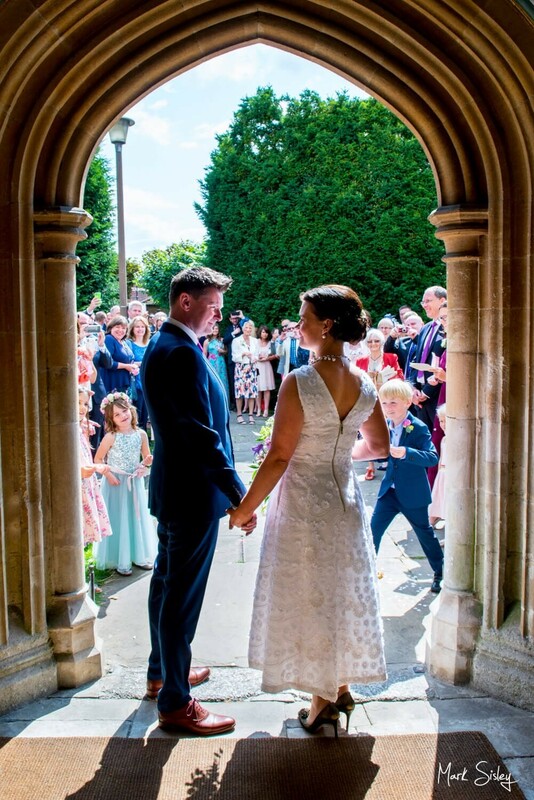 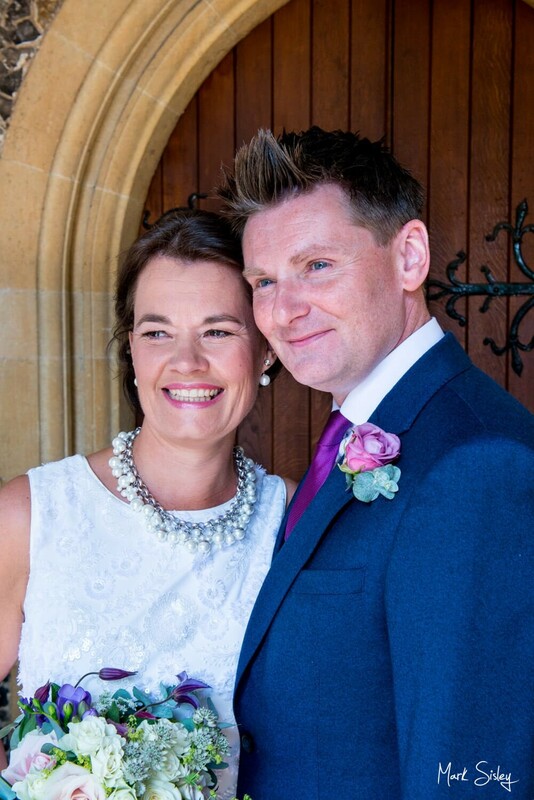 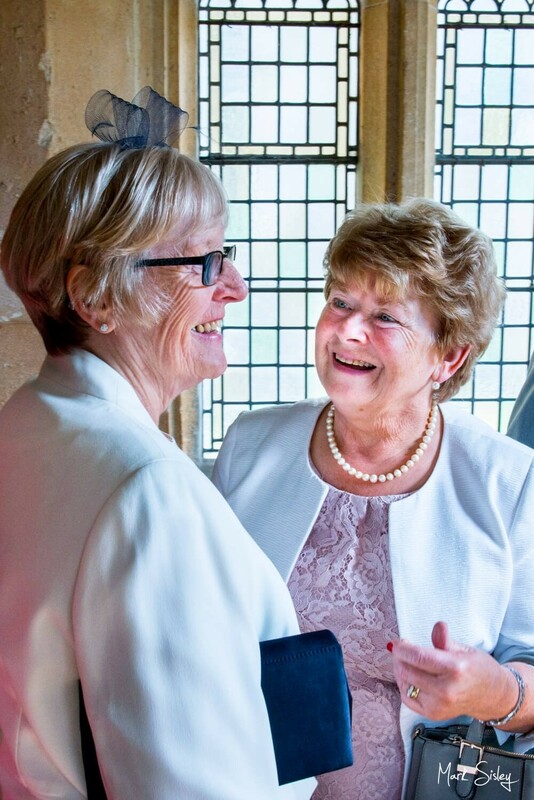 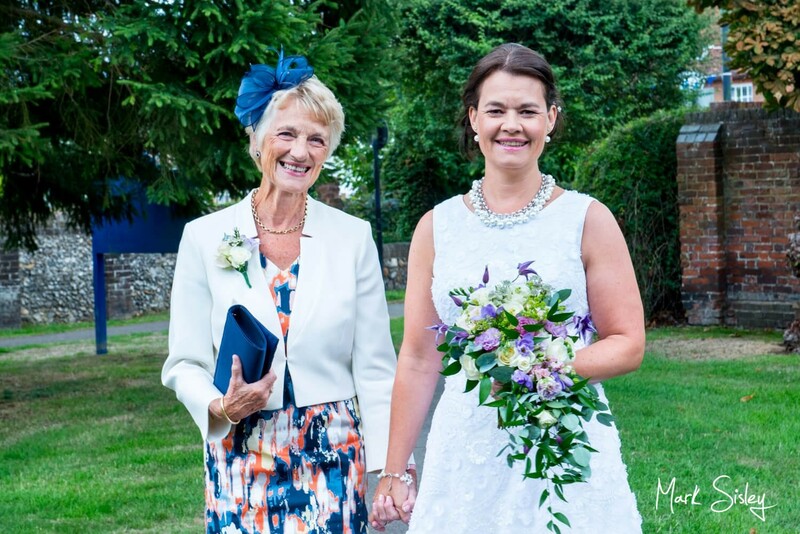 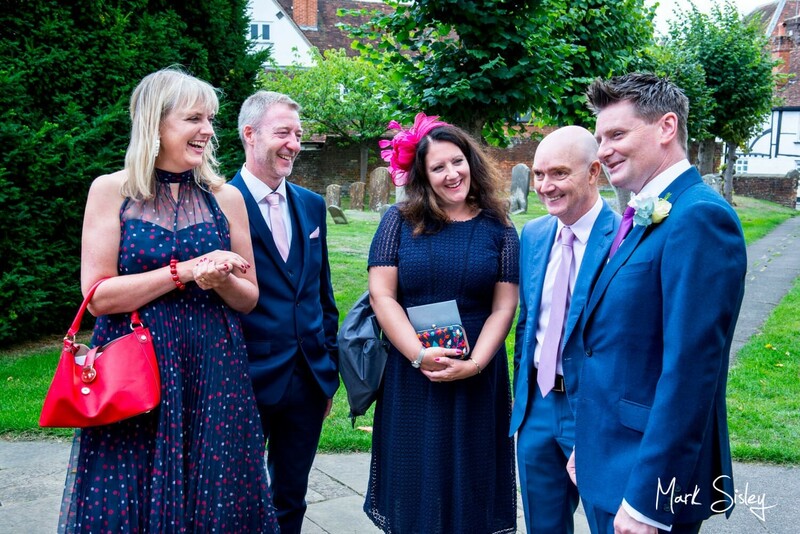 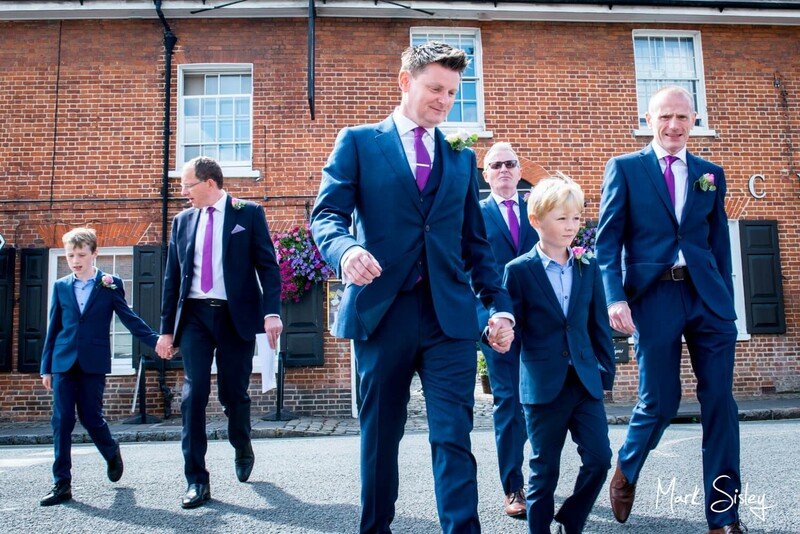 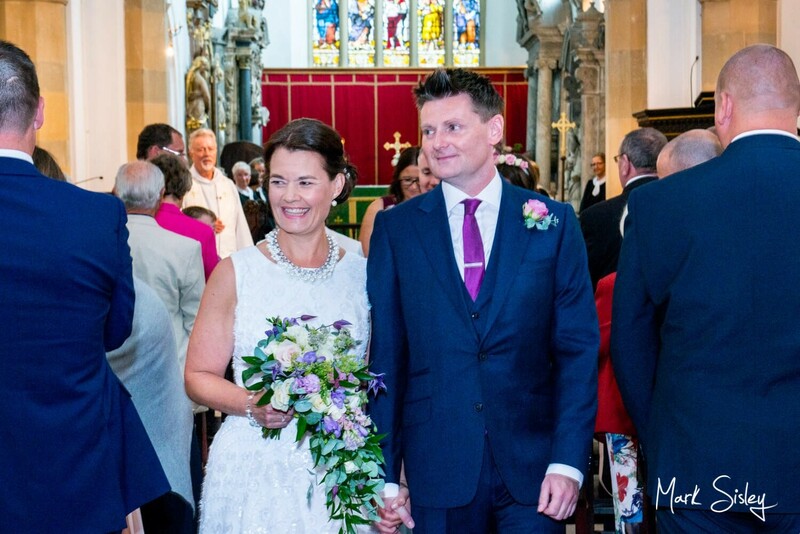 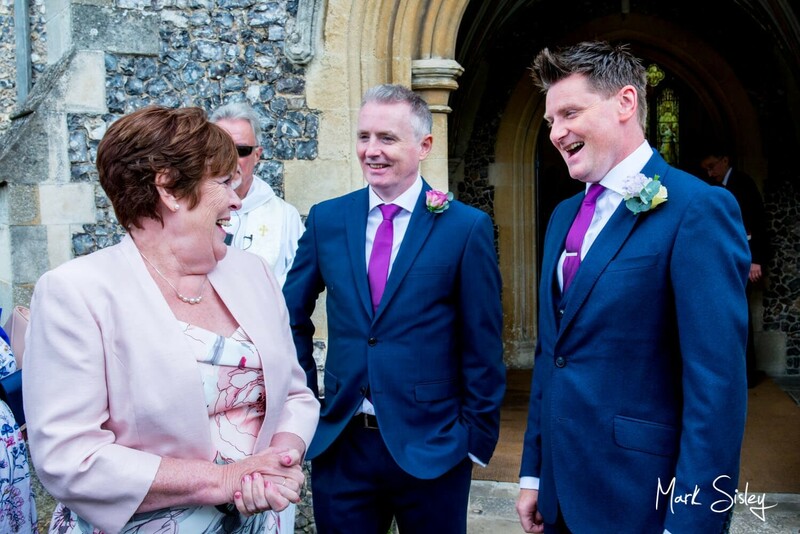 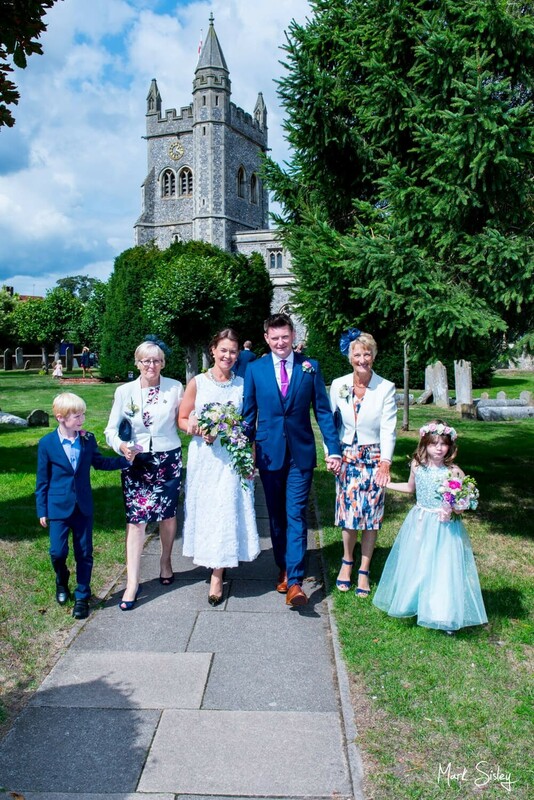 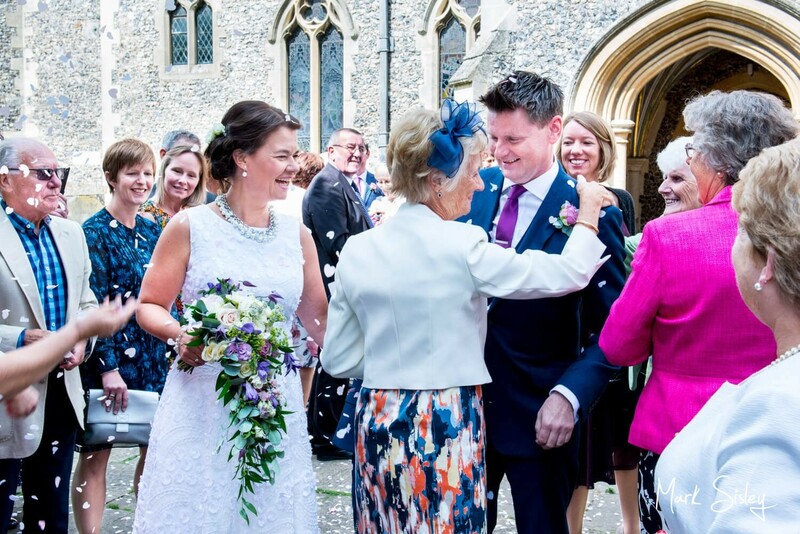 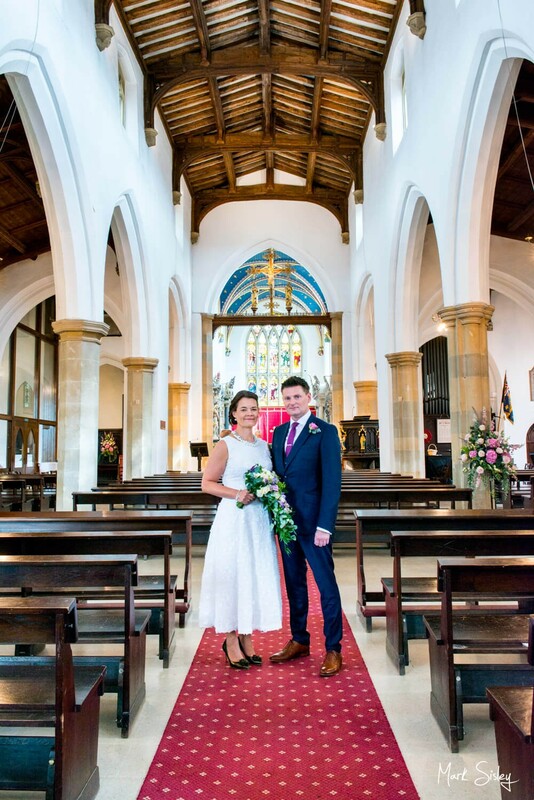 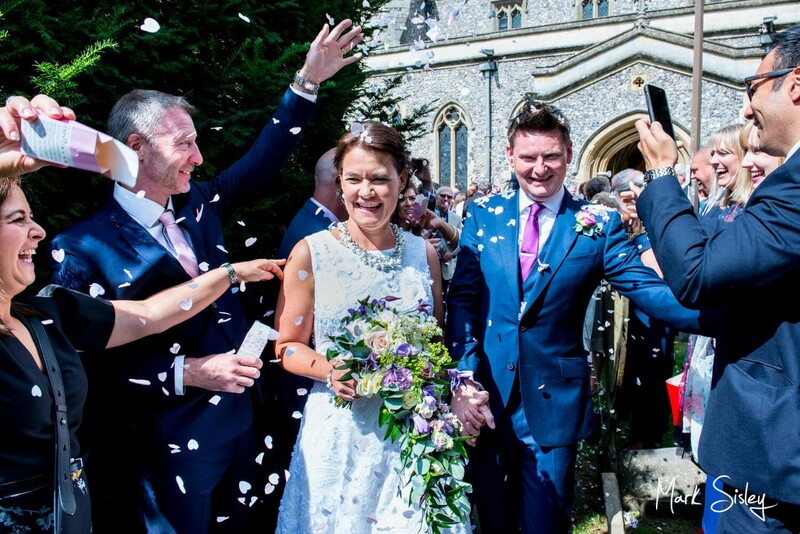 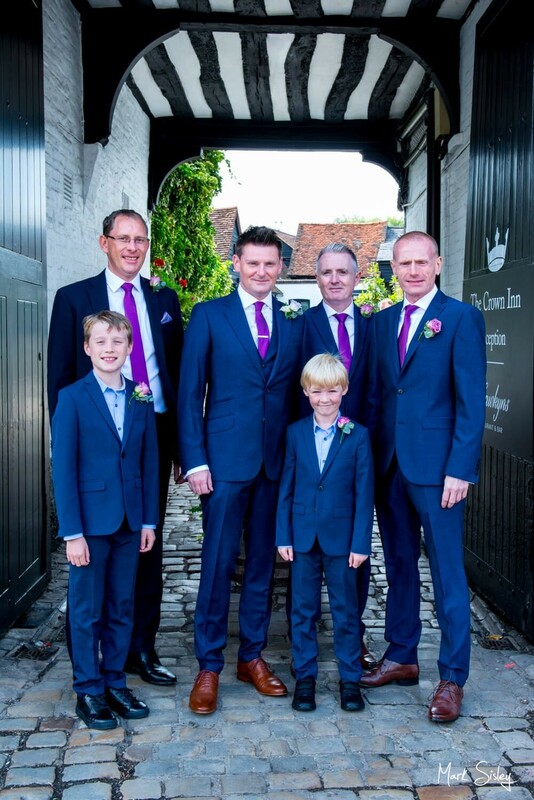 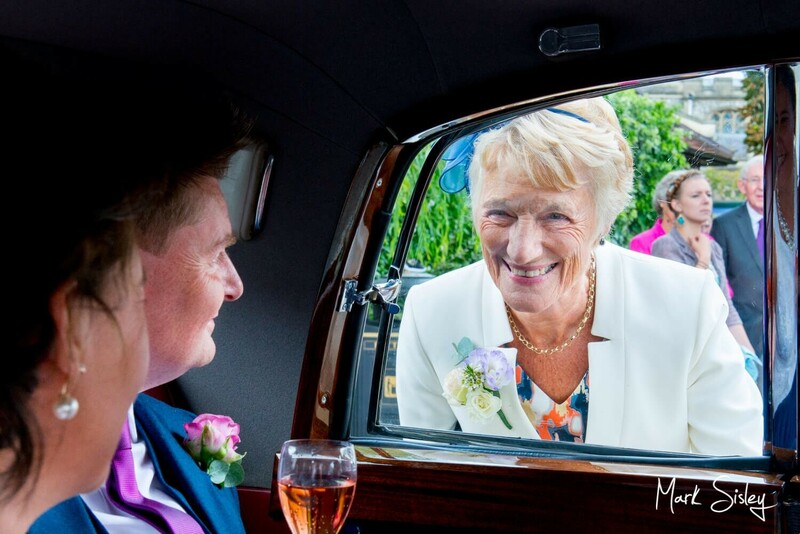 Jacqui & James’ heartfelt traditional wedding ceremony was held at St. Mary’s Church in Old Amersham. 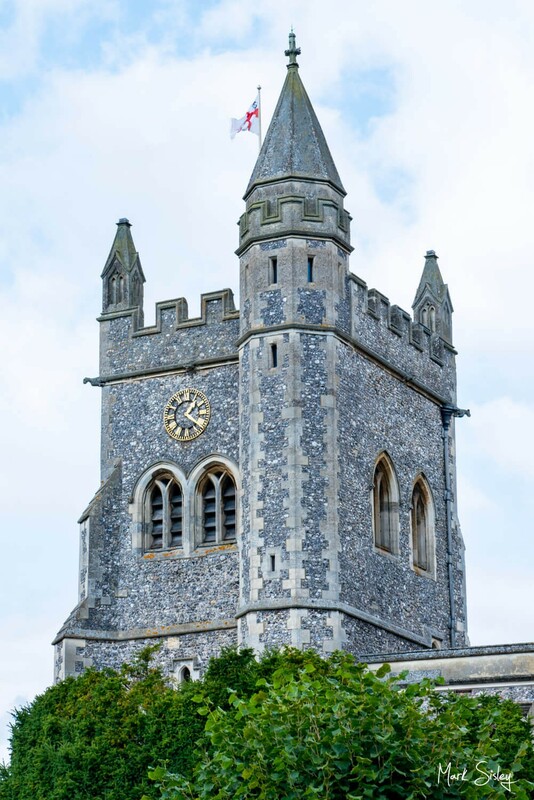 Churches don’t get much closer for me, as I live just a short stroll away from this historic place of worship. 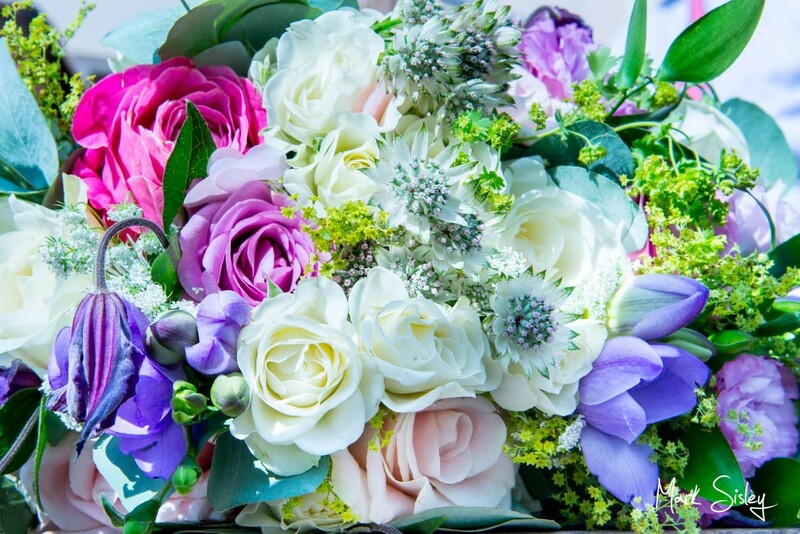 Old Amersham is such a charming beautiful old town full of traditional tea rooms and independent shops. 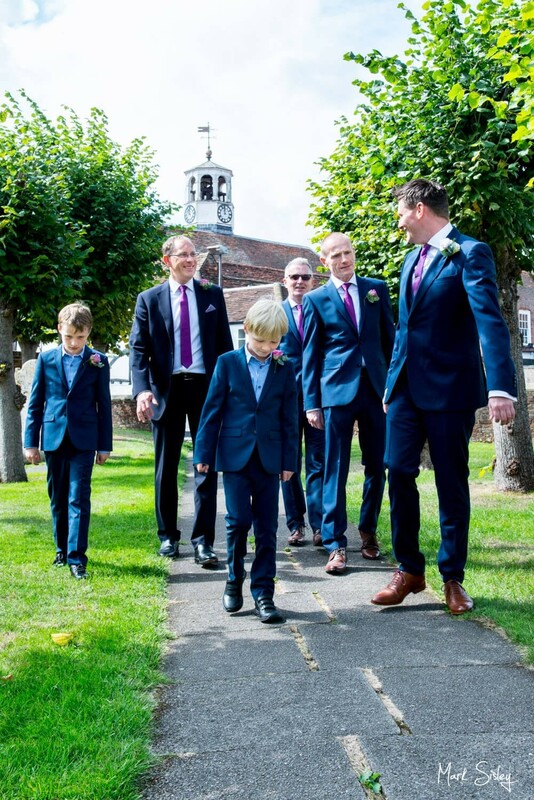 I frequently take a stroll along the cobbled walkways on Sundays to escape the hustle and bustle of work, and yes like everyone else I’m usually tempted by the coffee and amazing cakes! 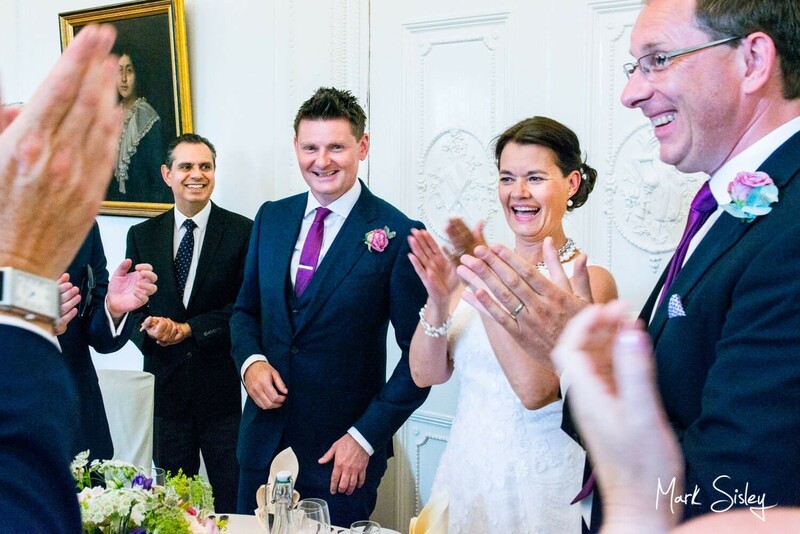 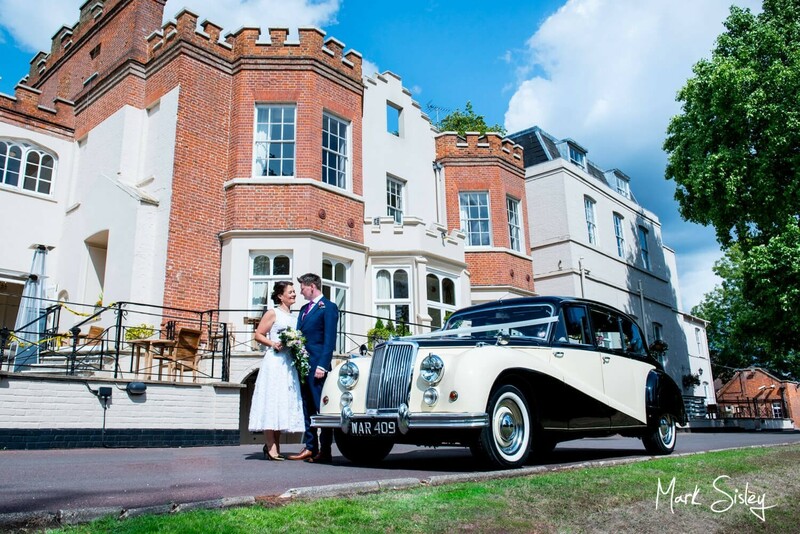 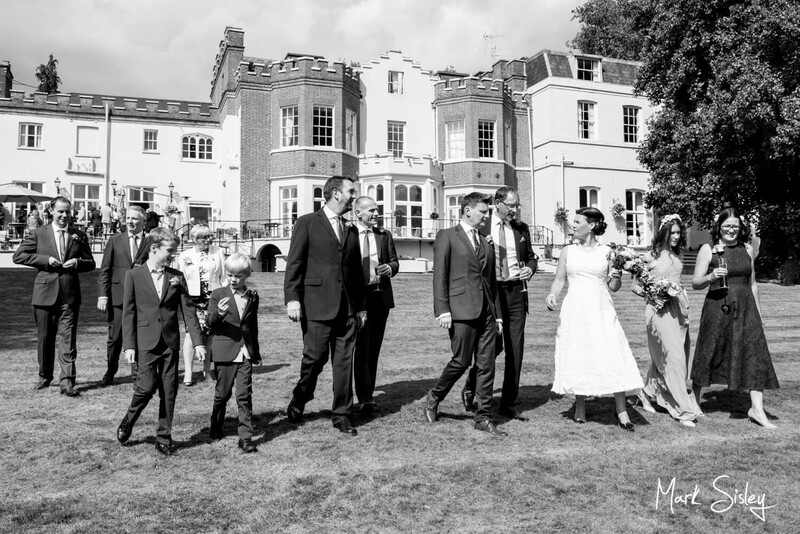 The ceremony was followed by a reception at the gorgeous Taplow House Hotel, a venue I’ve photographed many times. 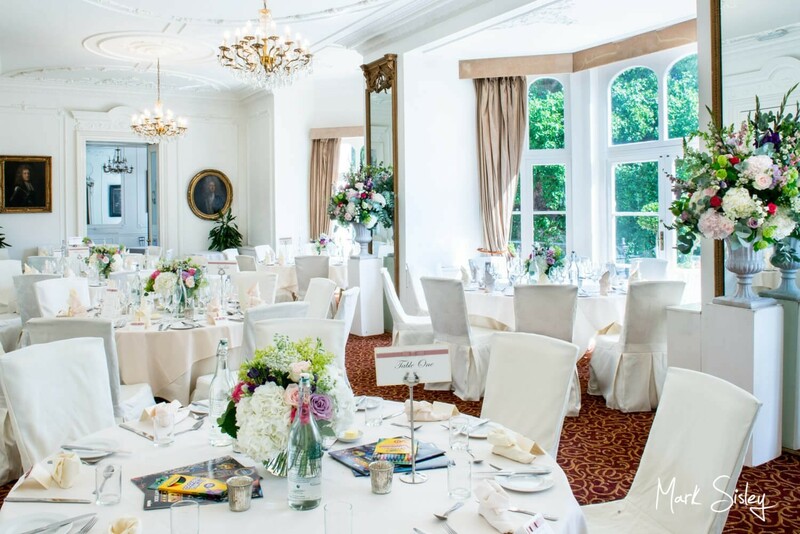 I just love this fabulous country house hotel. 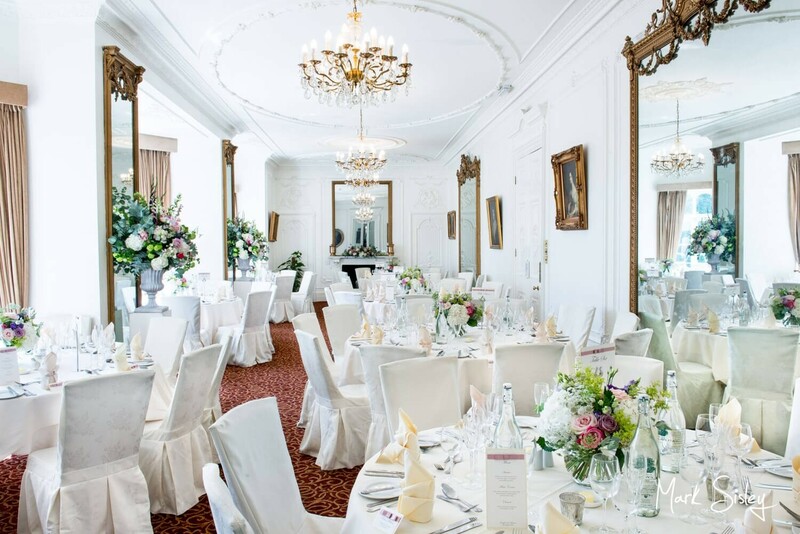 It’s full of wonderful period charm, big windows, high ceilings and chandeliers. 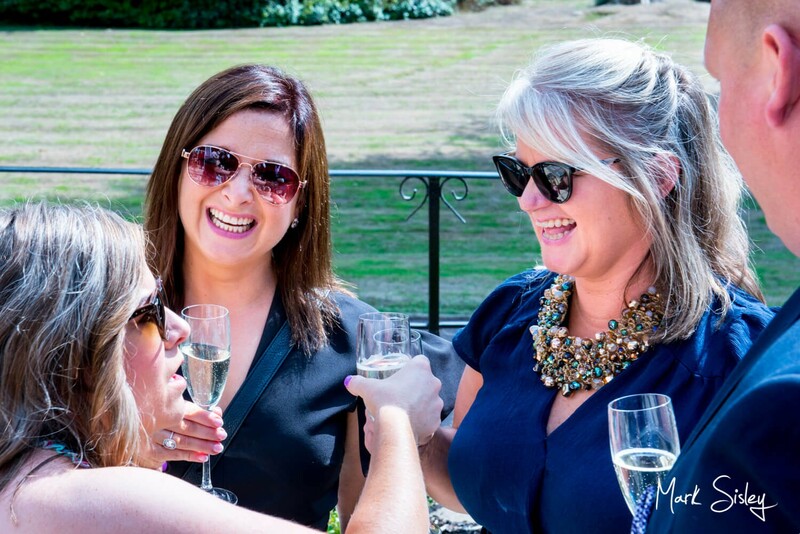 The staff are always so professional, and the food is delicious! 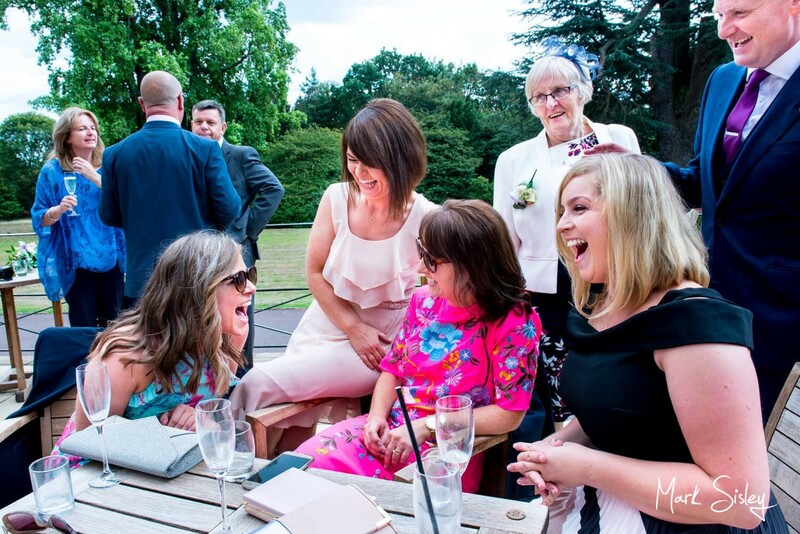 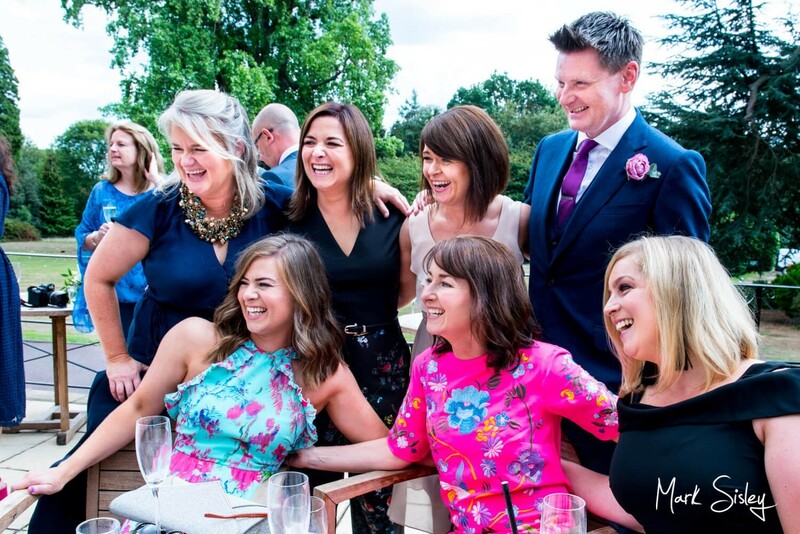 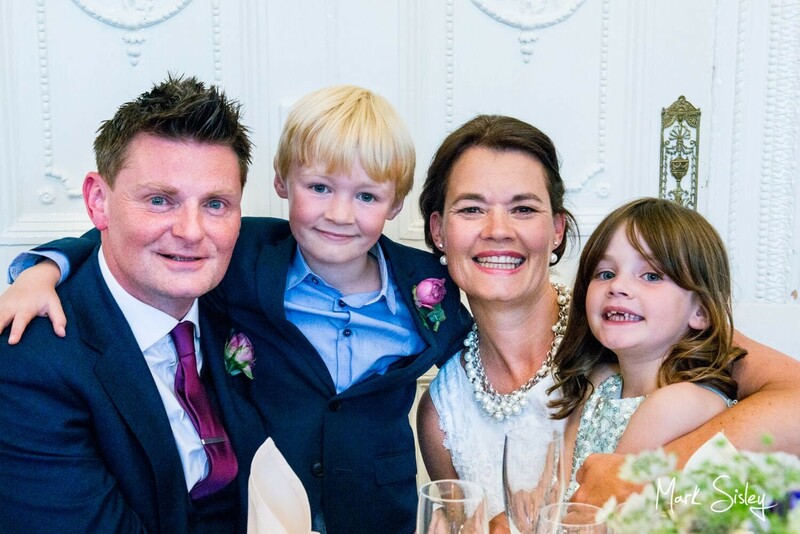 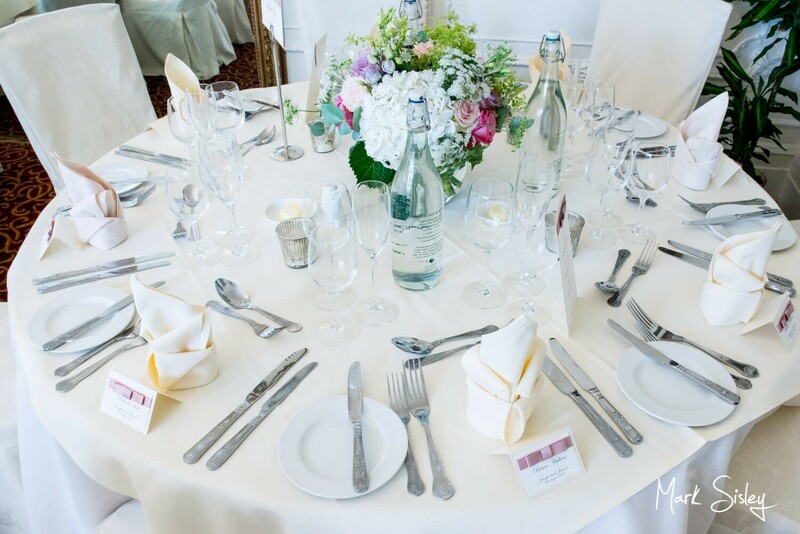 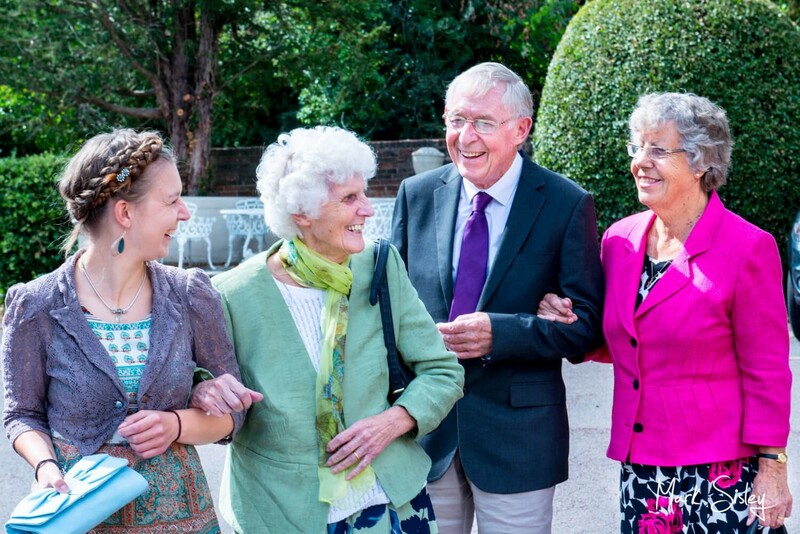 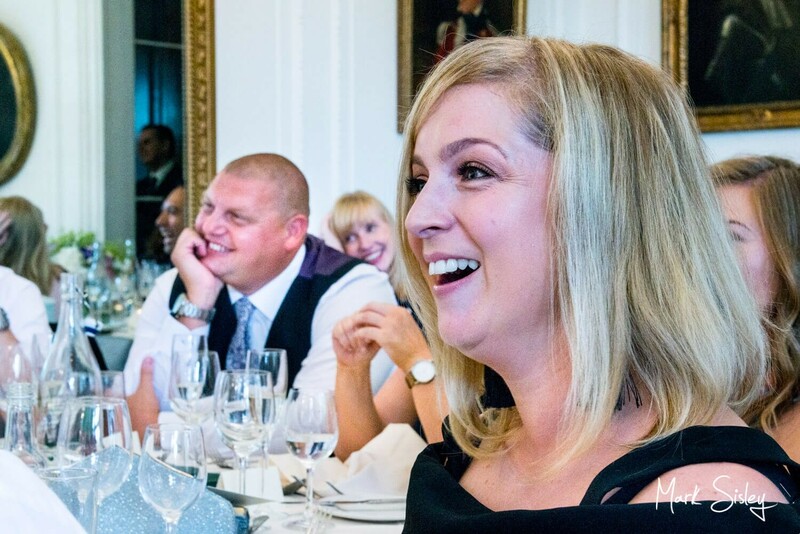 Their lovely friends and family who travelled from far and wide were treated to a relaxed and fun wedding celebration. 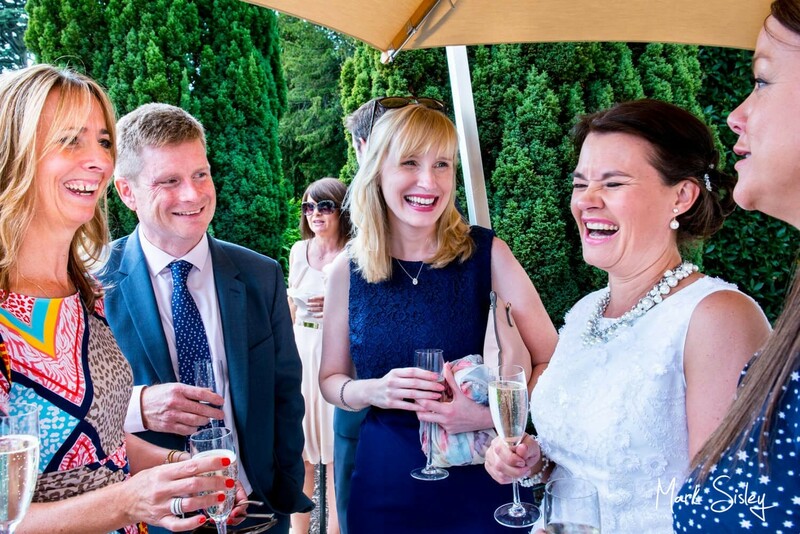 My job is certainly made so much easier when everyone is in such high spirits for the day. 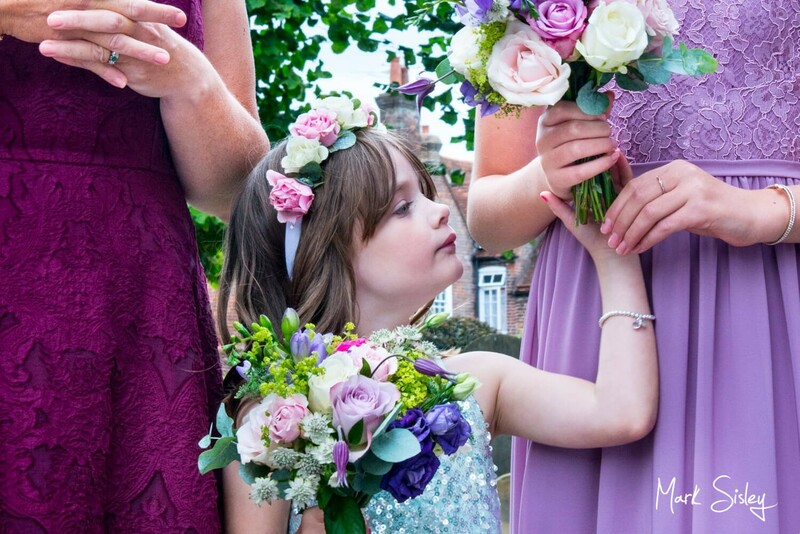 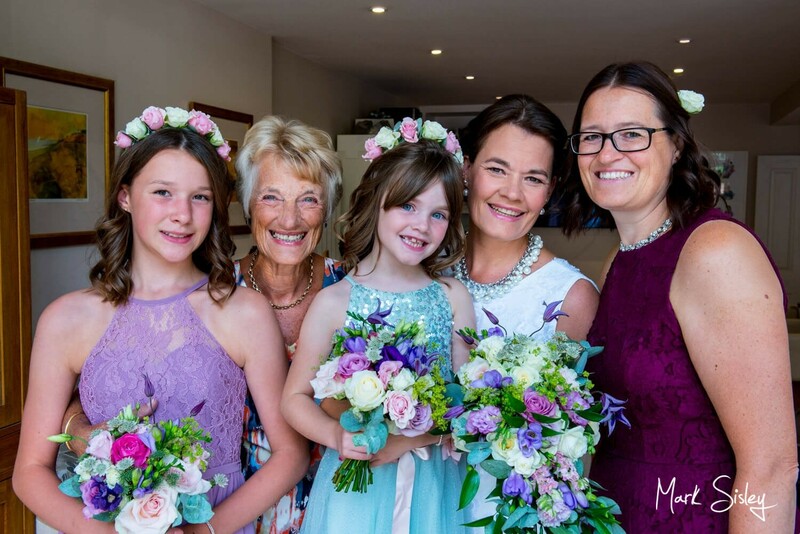 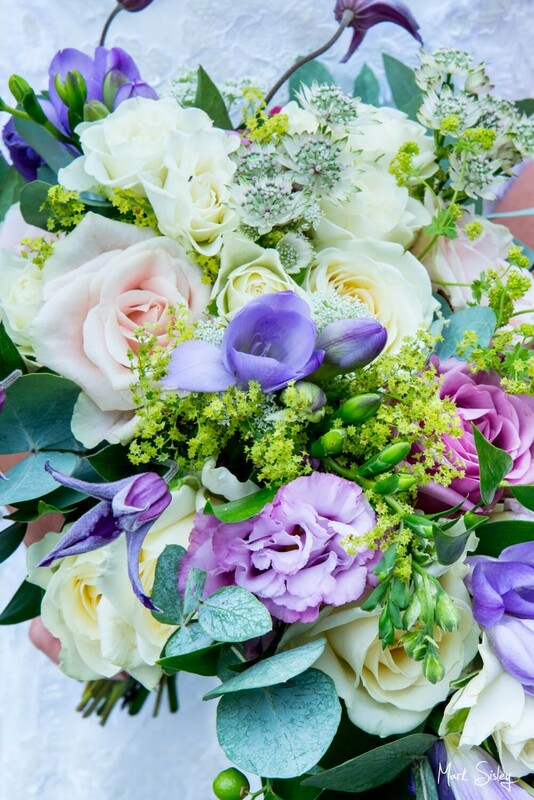 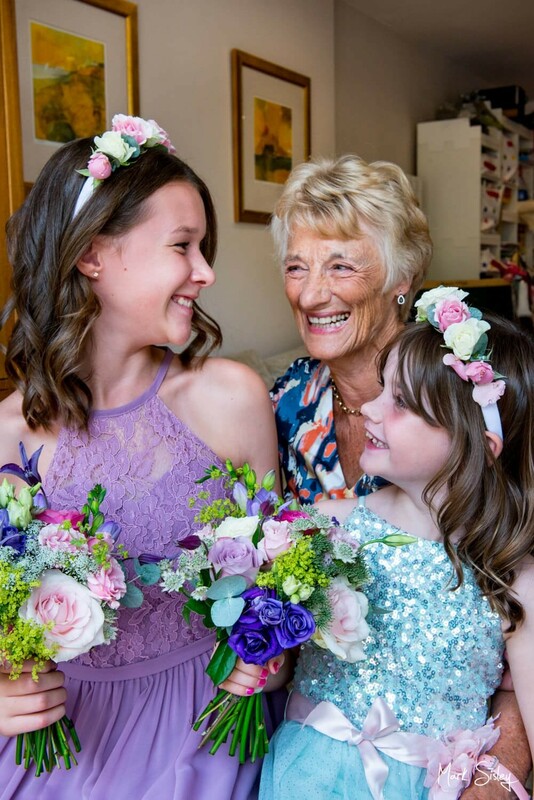 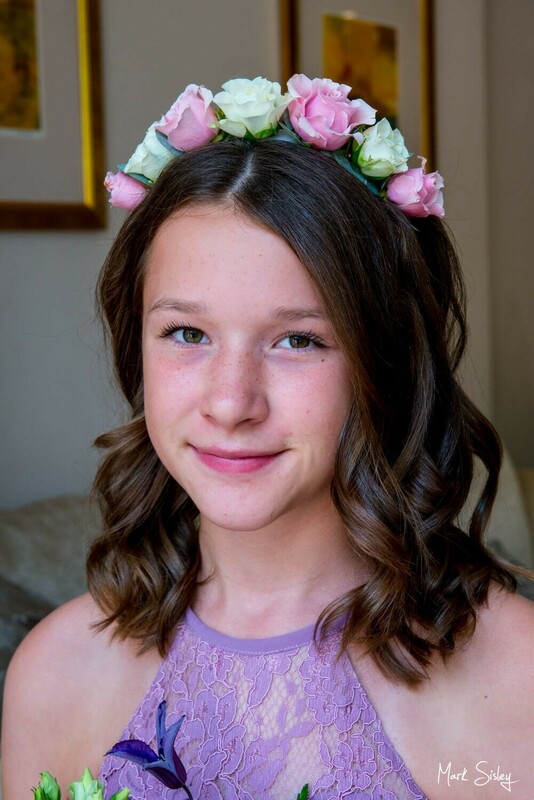 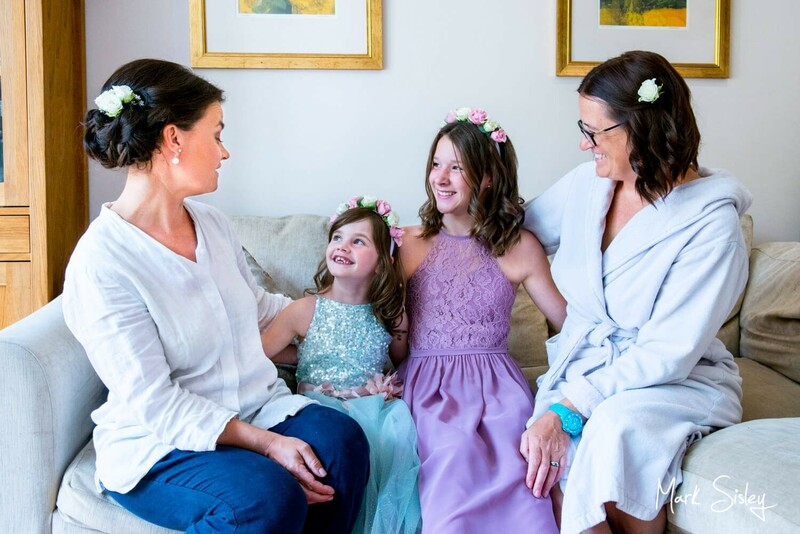 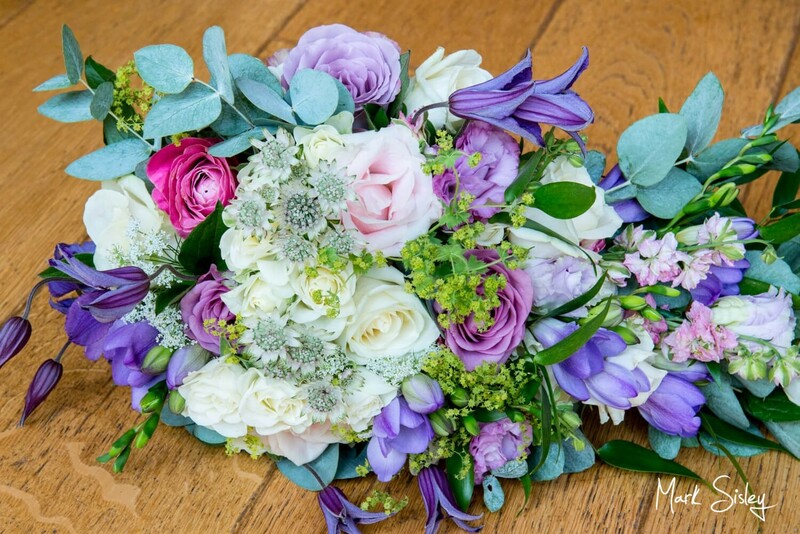 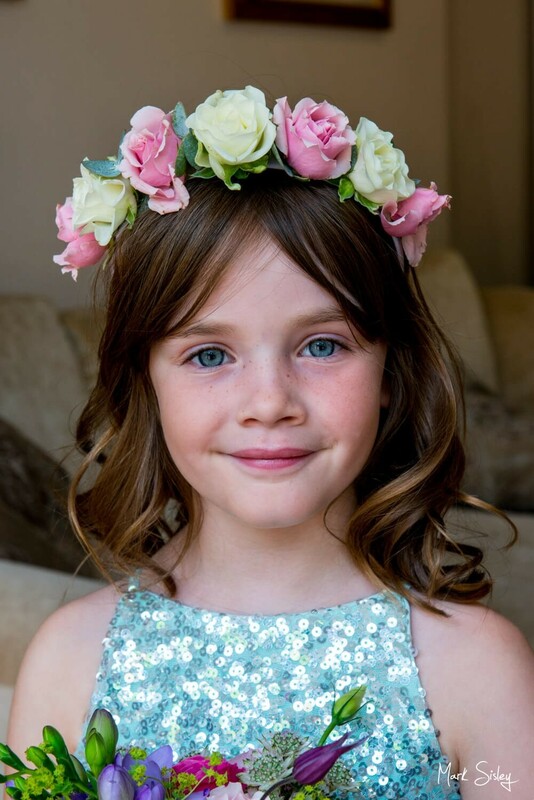 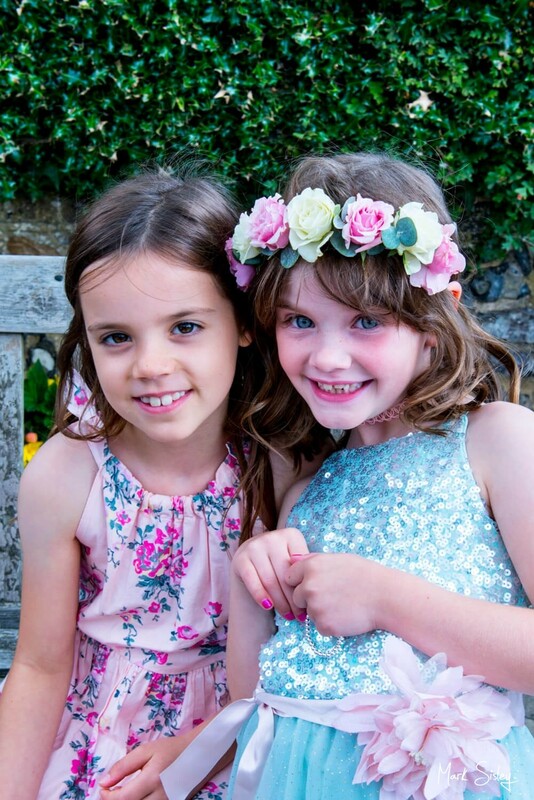 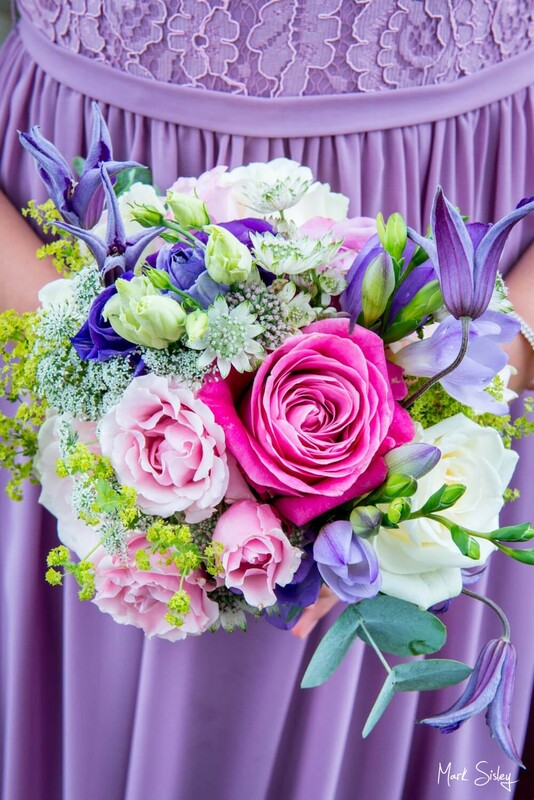 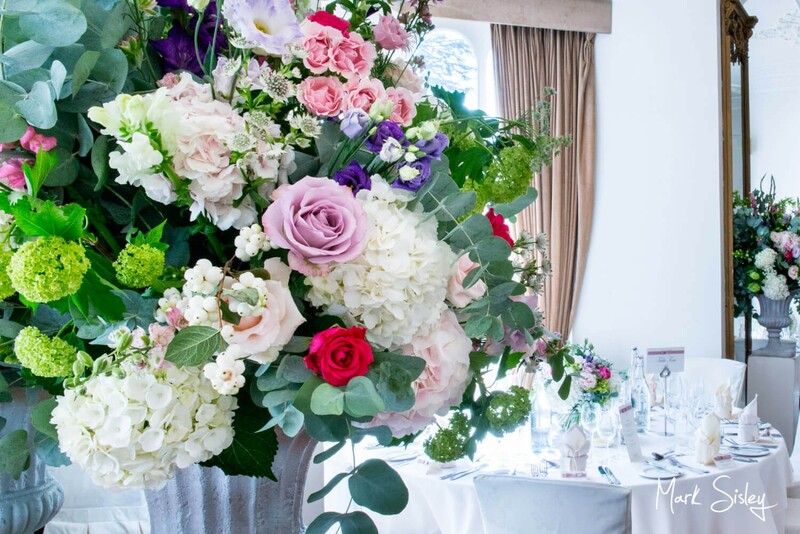 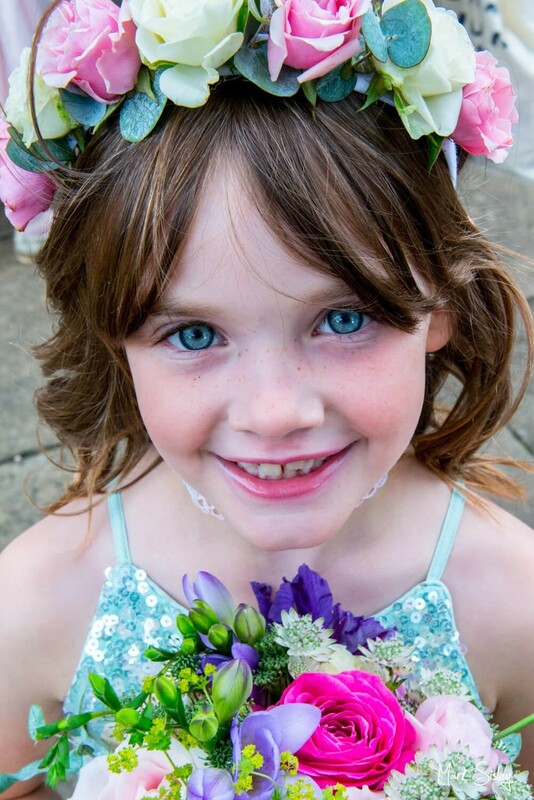 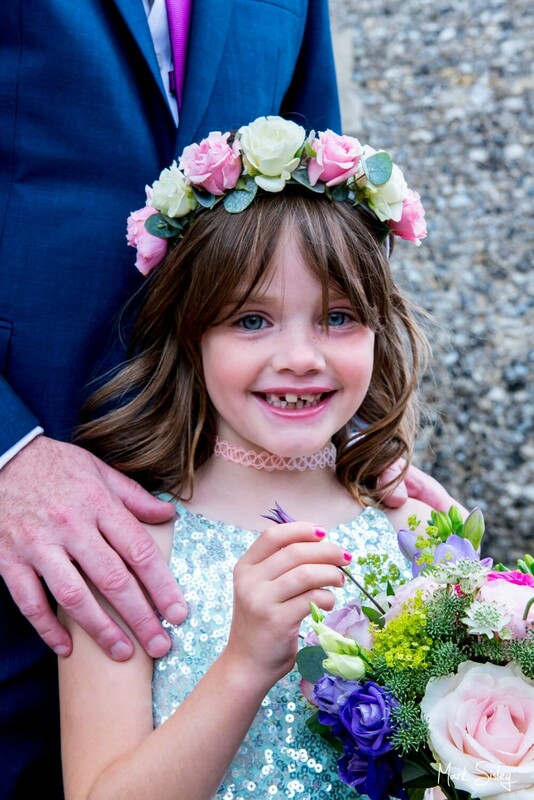 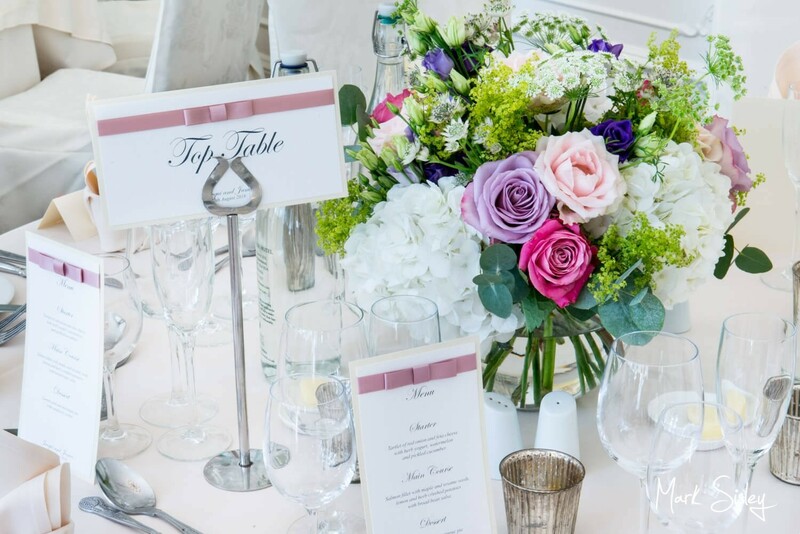 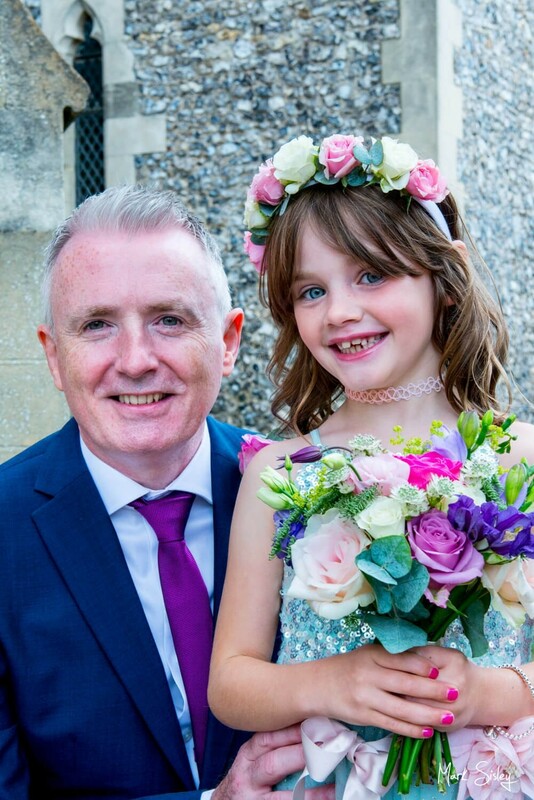 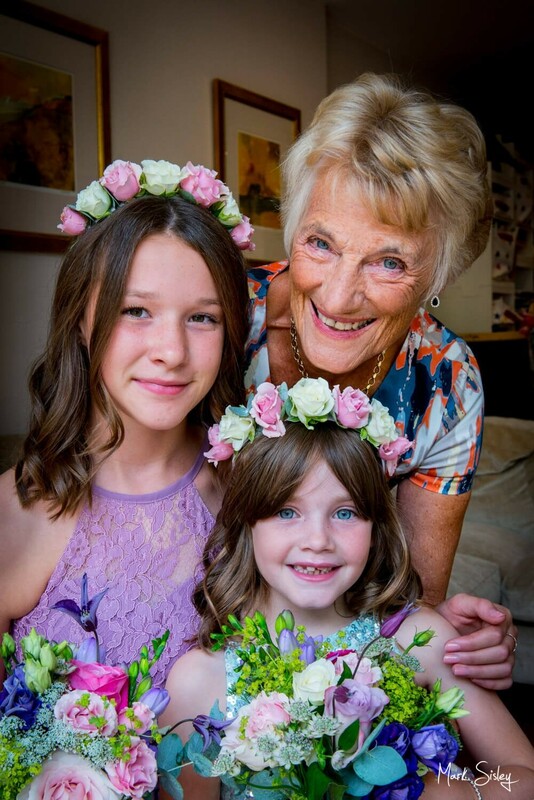 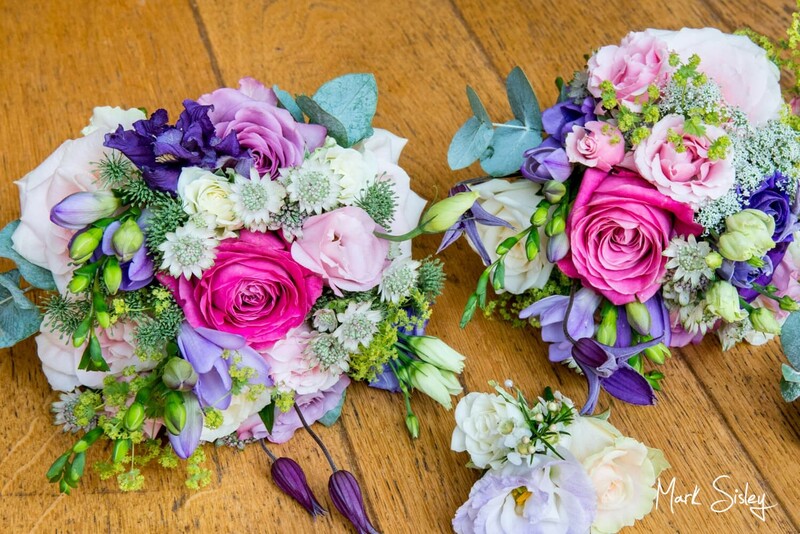 Jacqui chose the most gorgeous colours for her floral displays and bouquets, cleverly mixed with contrasting colours for her bridesmaid and flower girls dresses for stunning effects! 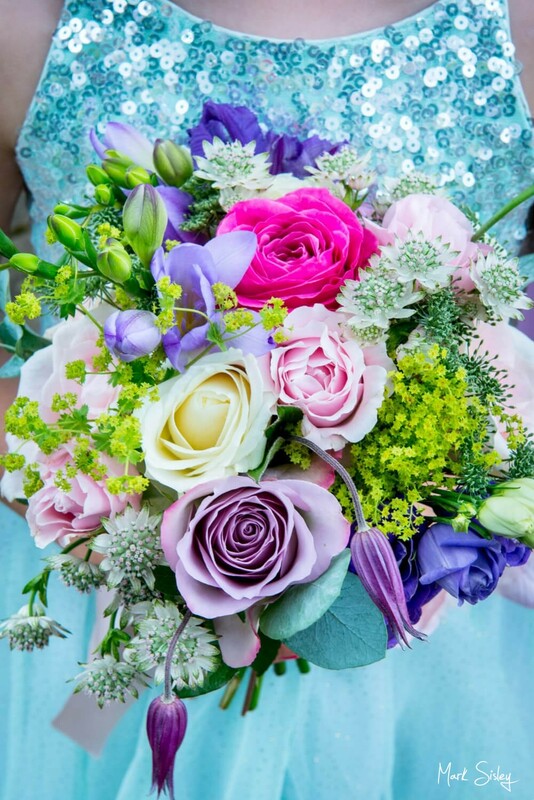 I so enjoy working with rich vibrant colours – it always raises the wow impact of wedding pictures up a notch or two! 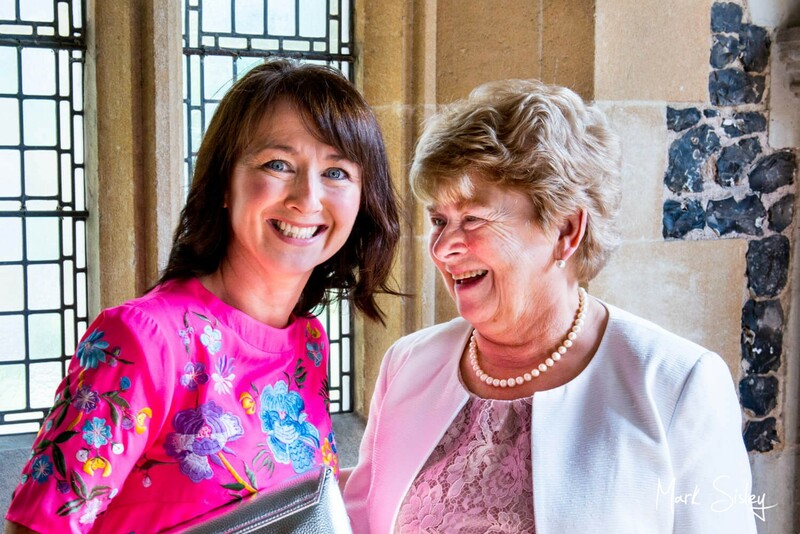 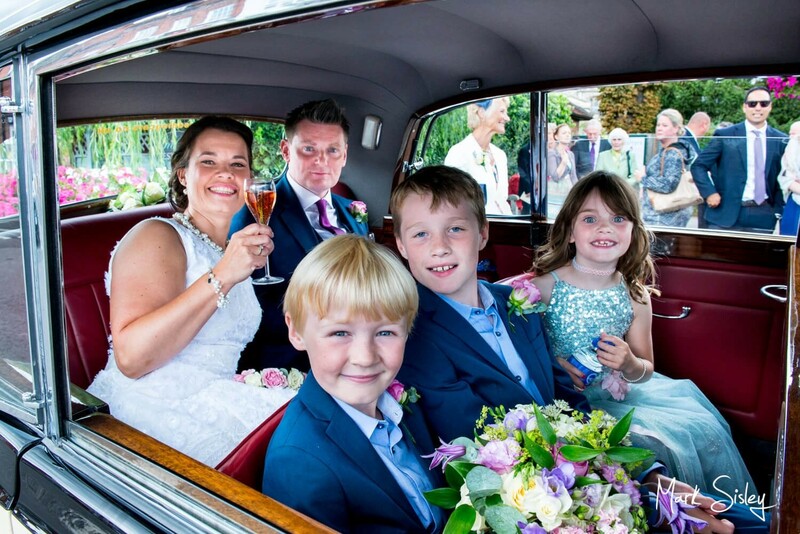 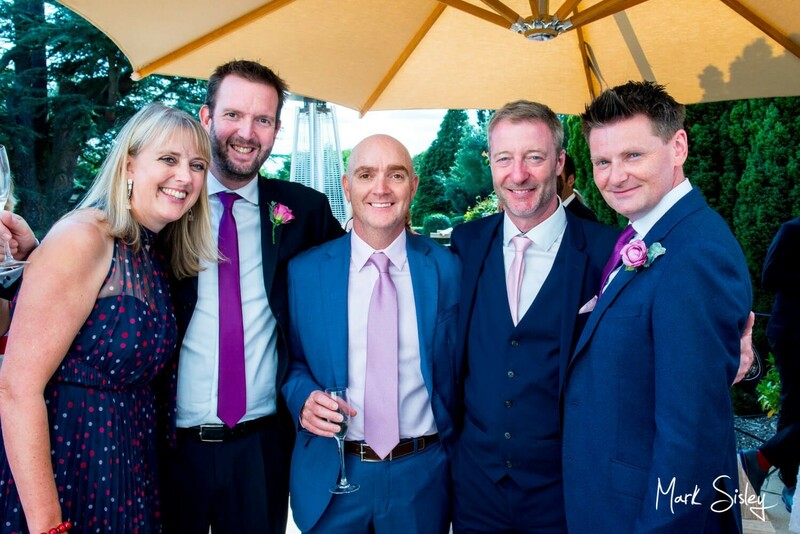 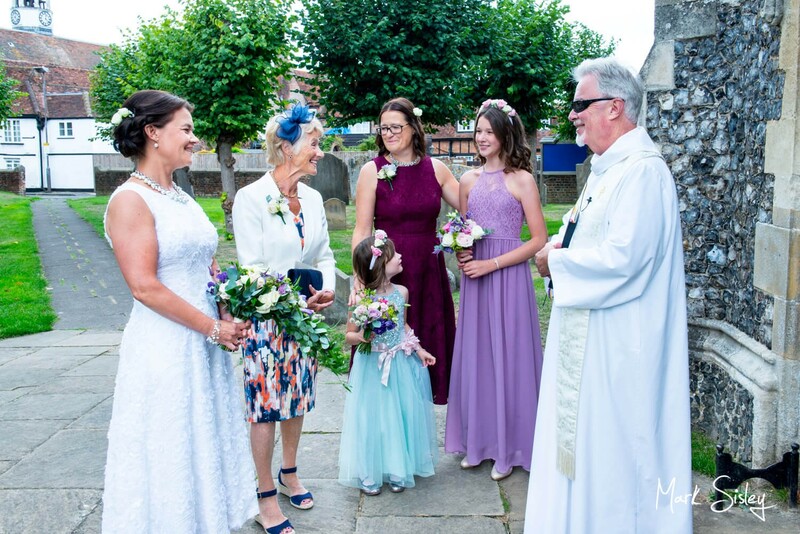 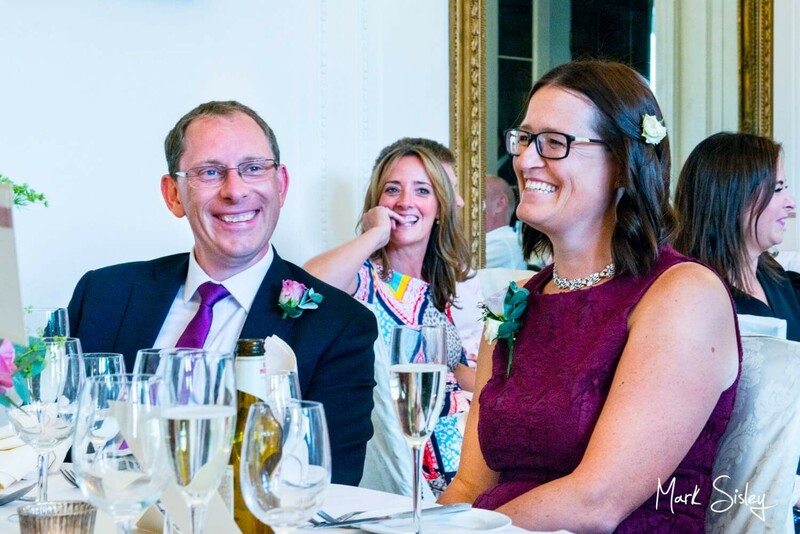 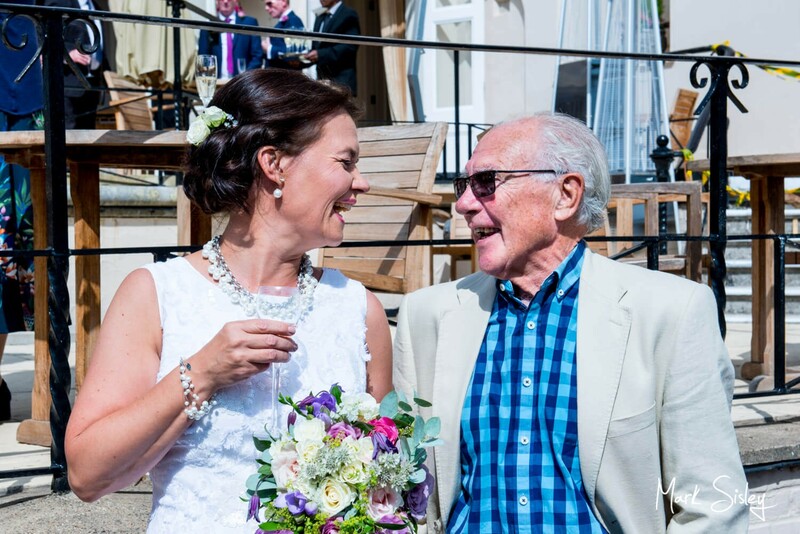 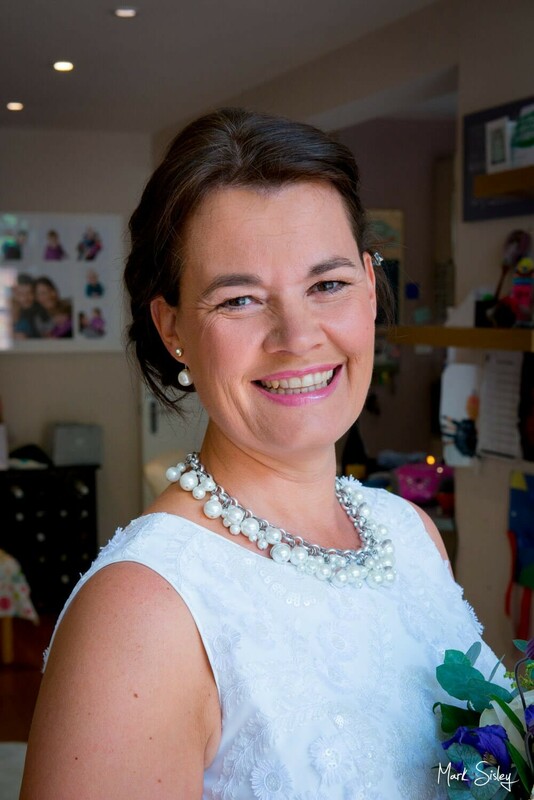 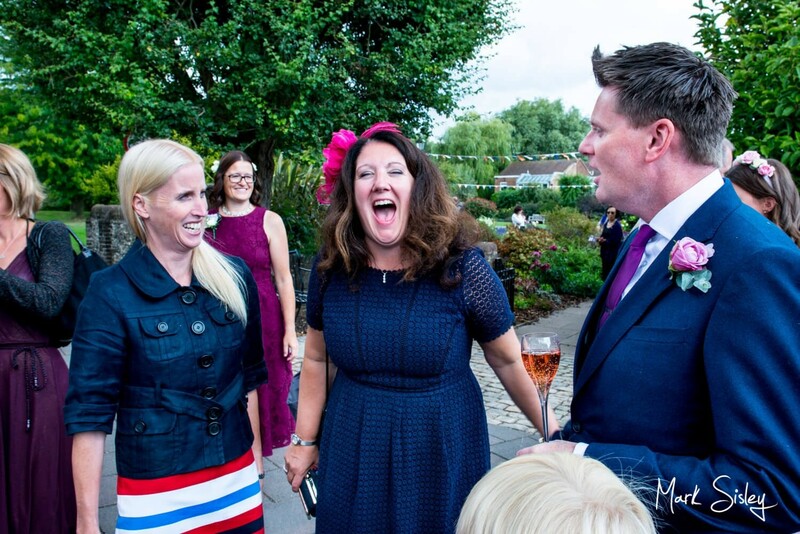 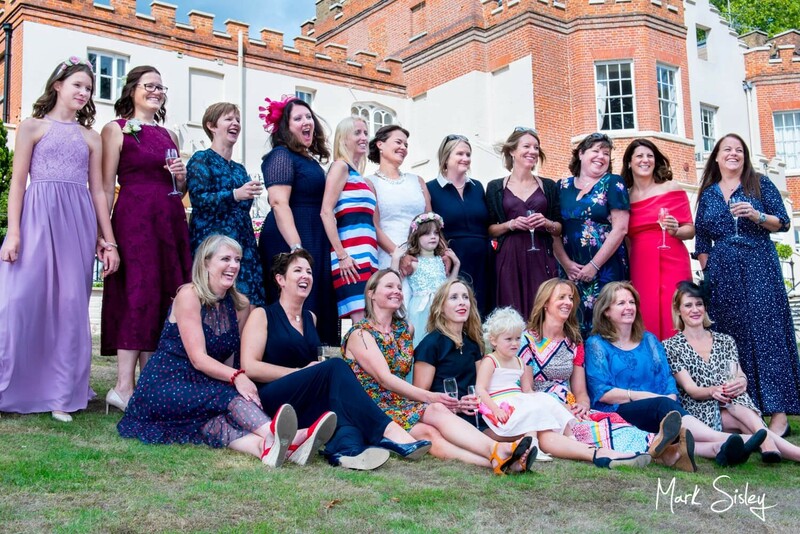 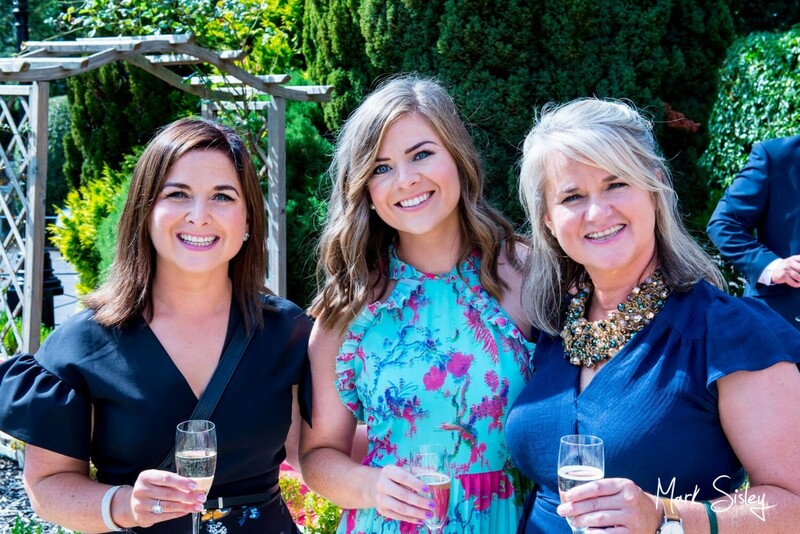 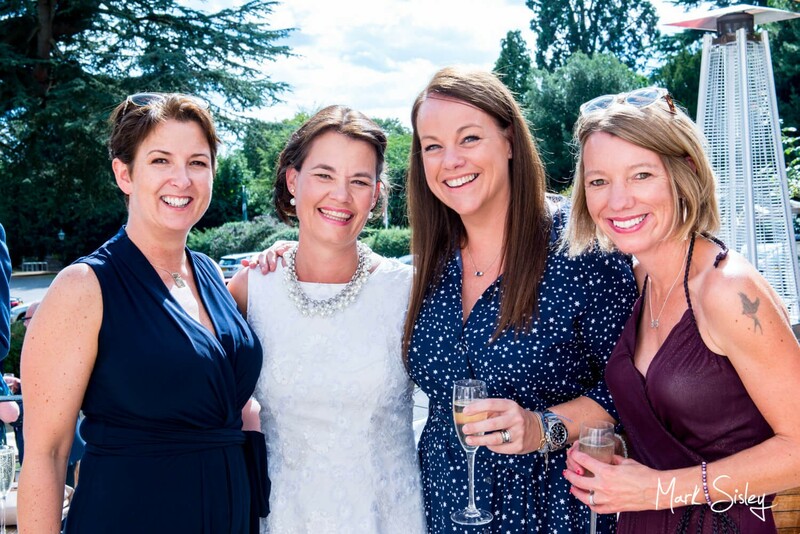 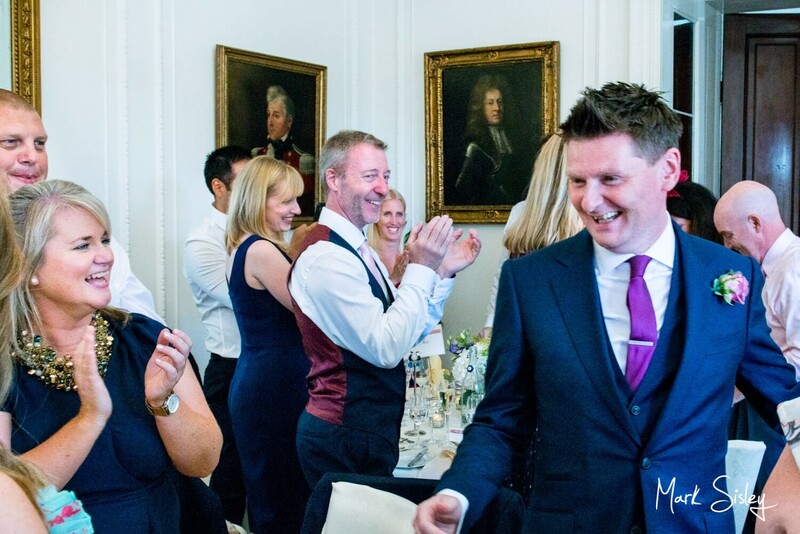 Jacqui’s wedding dress was fabulous too – she didn’t go for the long flowing classic wedding gown, and I so admire it when a bride does something a little bit different – she looked incredible! 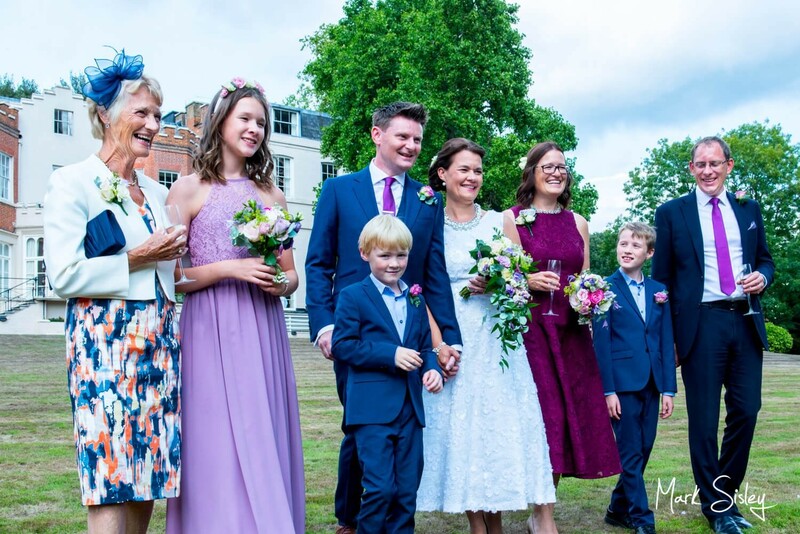 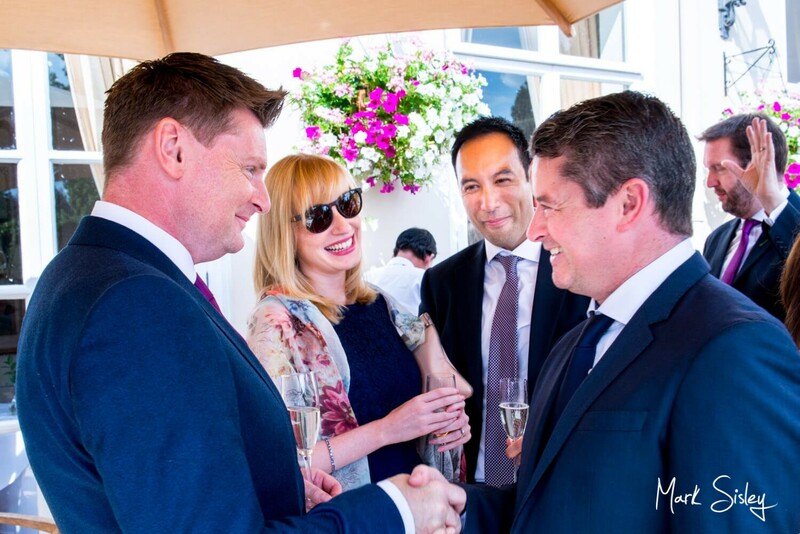 Jacqui and James and their family and friends couldn’t have been more welcoming and friendly, so a big thank you to you both for inviting me to be a part of your special fun-filled wedding day, and I wish you many, many happy years of marriage. 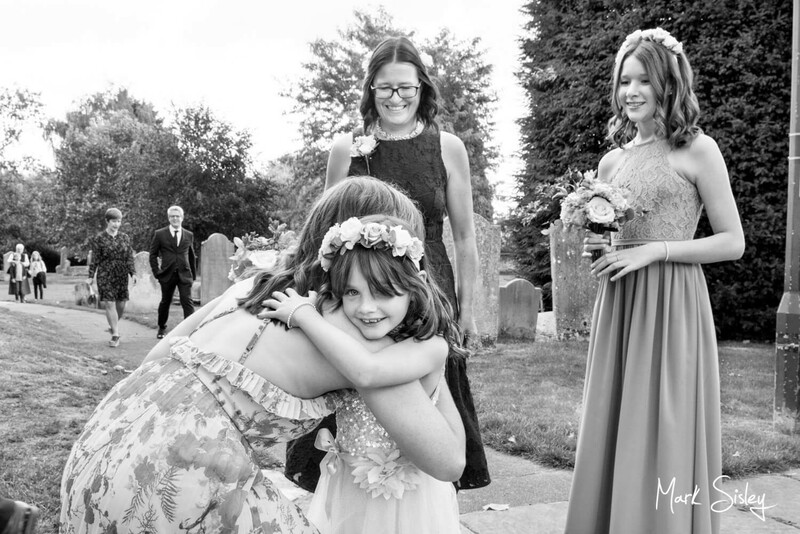 You can see the message they sent below, plus some of my favourite images from the day. 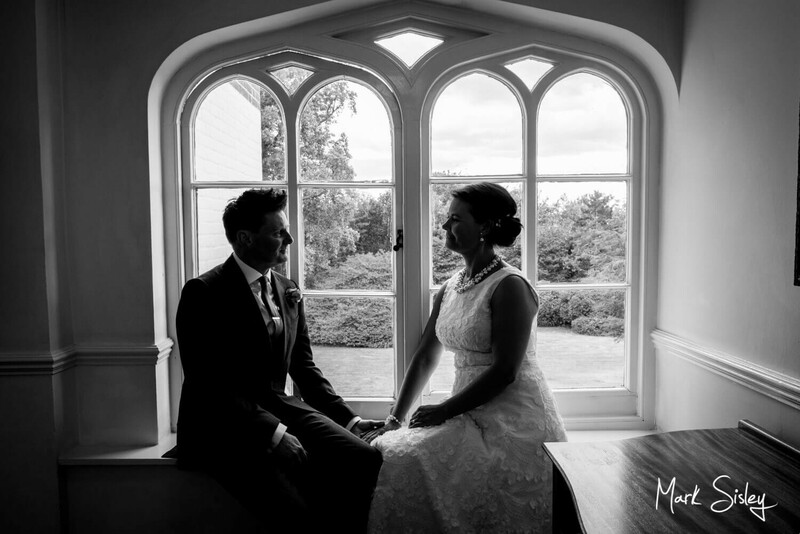 A huge thank you for the wonderful photos that you took at our wedding in August; they are just perfect. 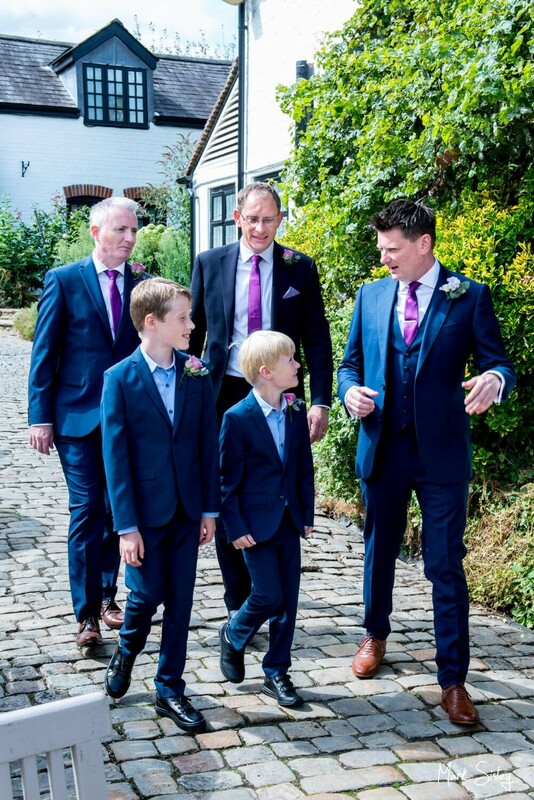 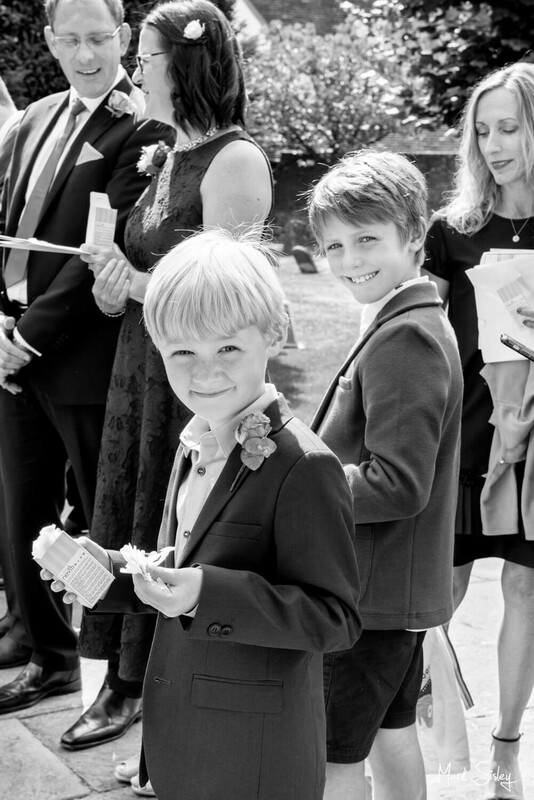 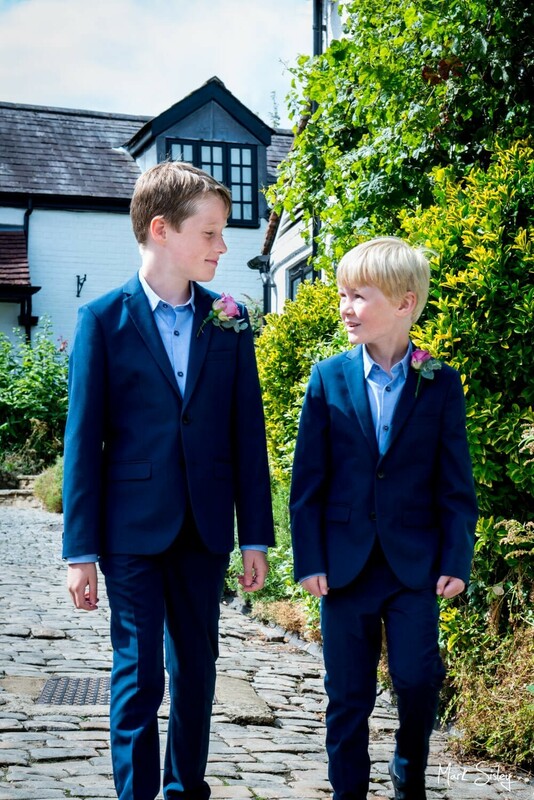 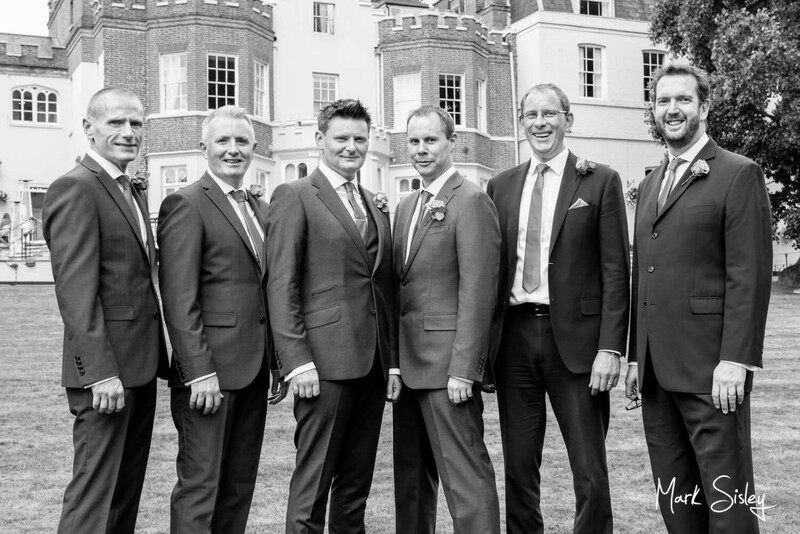 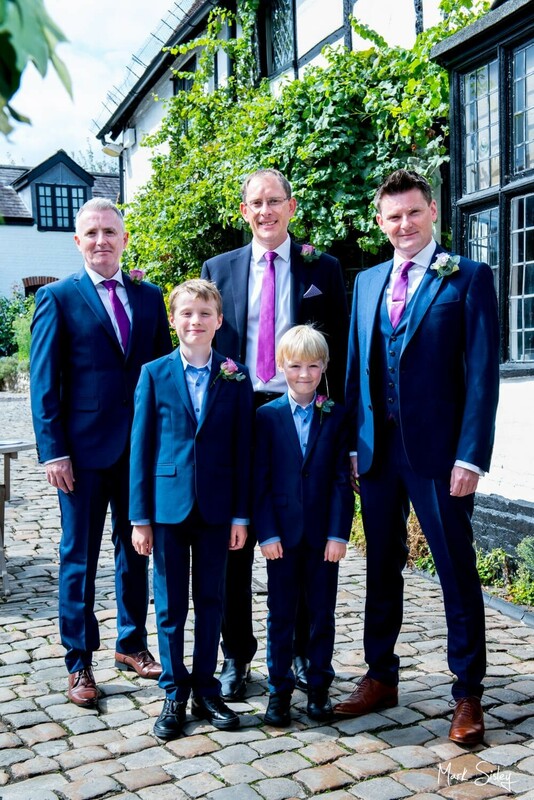 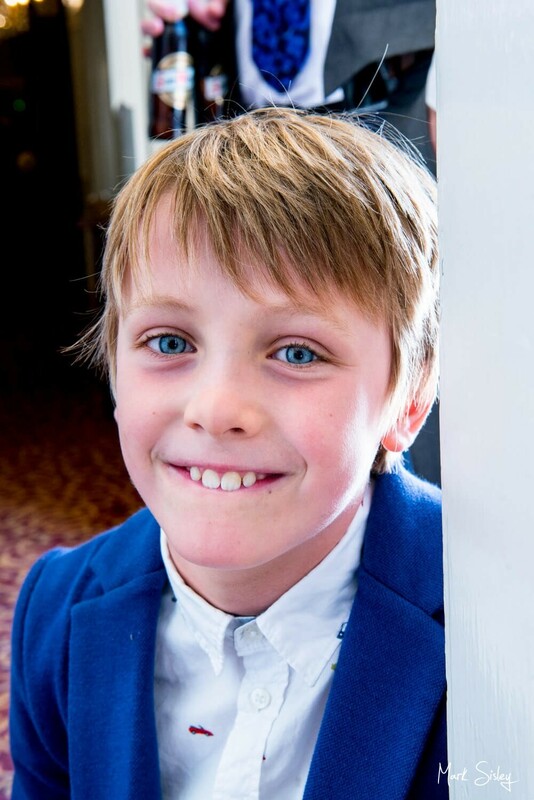 When we met with you and talked about how we wanted the photos and the informal manner in which we envisaged them we knew you would be able to accommodate our request; however they have turned out even better than we expected and this is down to your expertise so thank you. 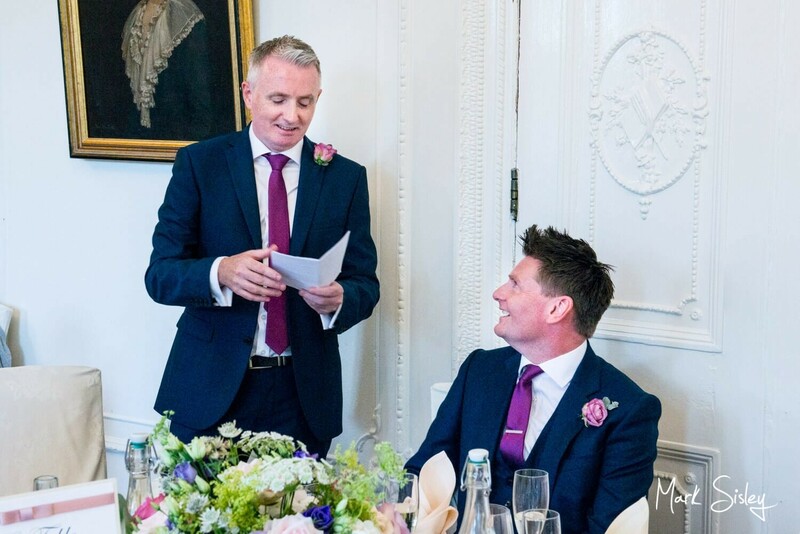 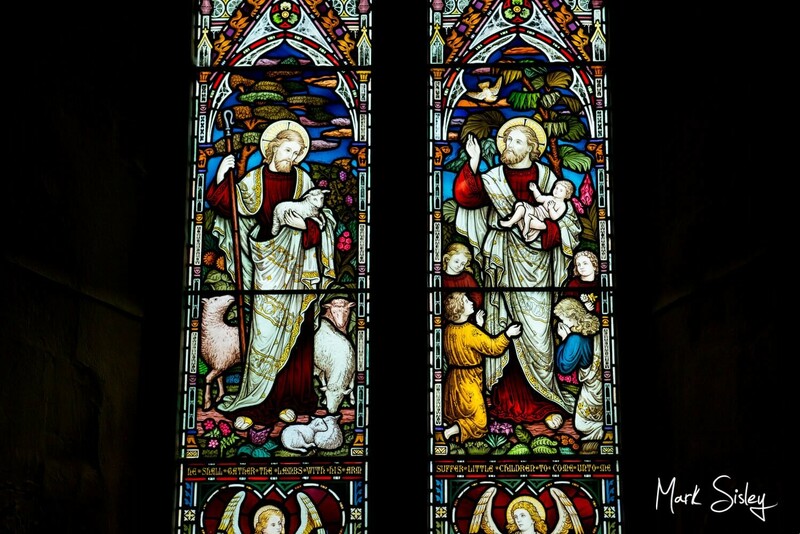 What we also really valued Mark was your guidance and advice both before and throughout the day to get the best out of the shots; your attention to detail is second to none. 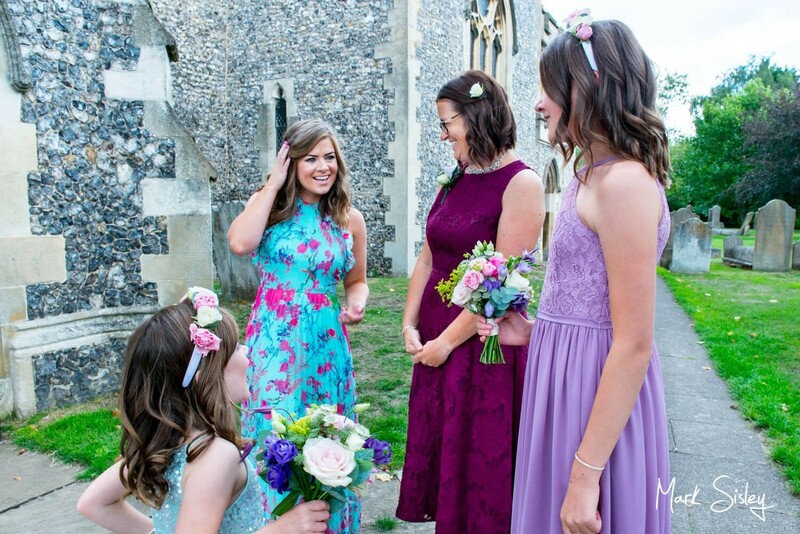 So many of our friends also commented on both your great style on the day for getting just the right shot but also the fact that half the time our guests didn’t even realise these lovely shots were being captured. 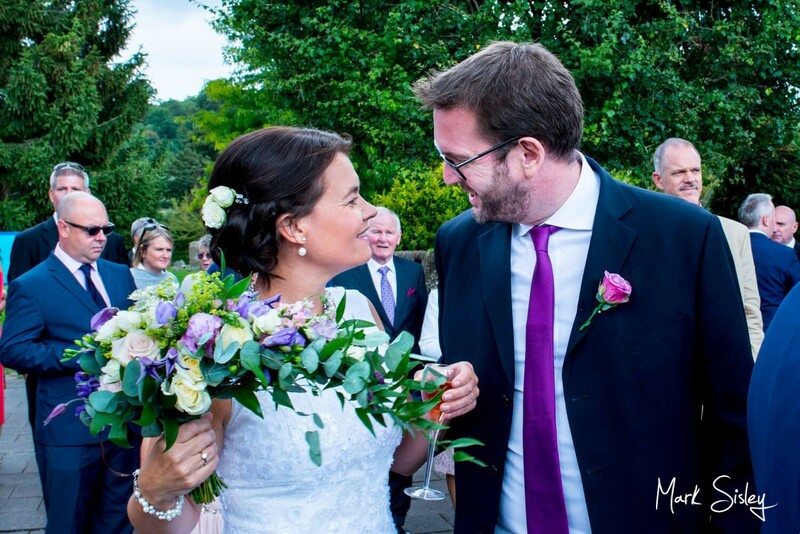 Once again thank you so much, you have provided us with a wonderful memory of our day.